Research lets you visualize critical commercial real estate data with a map view. Filter news, listings, transactions, and more to get a birds eye view of markets from all around the country. Our mission is to help commercial real estate professionals get answers to questions before they’re asked. Our platform provides an aggregation of data to help organize, track, share, and analyze information. 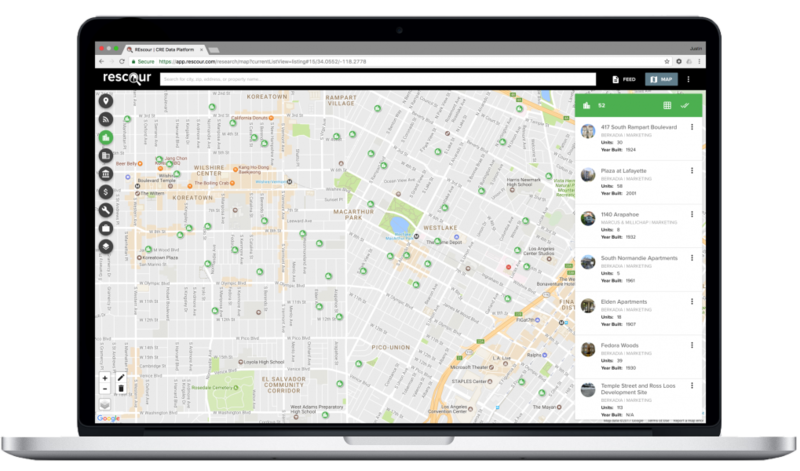 This allows CRE professionals to efficiently access listings, property info, nearby news, and much more. Filter to get to the info you need faster than ever before. 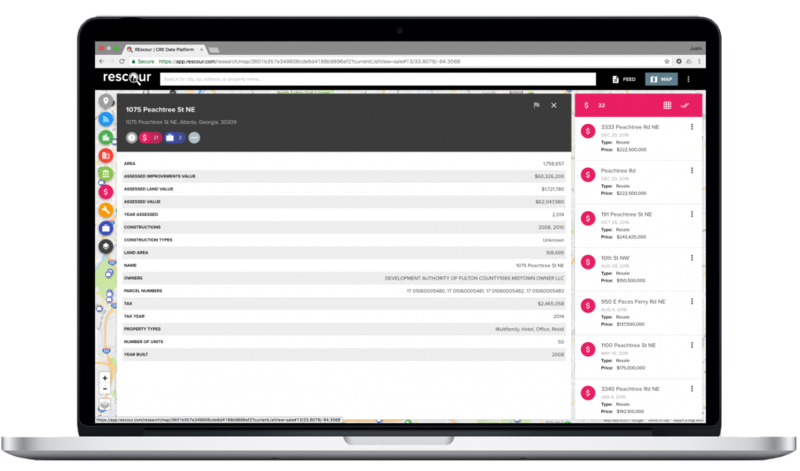 See more listings without digging through your email. 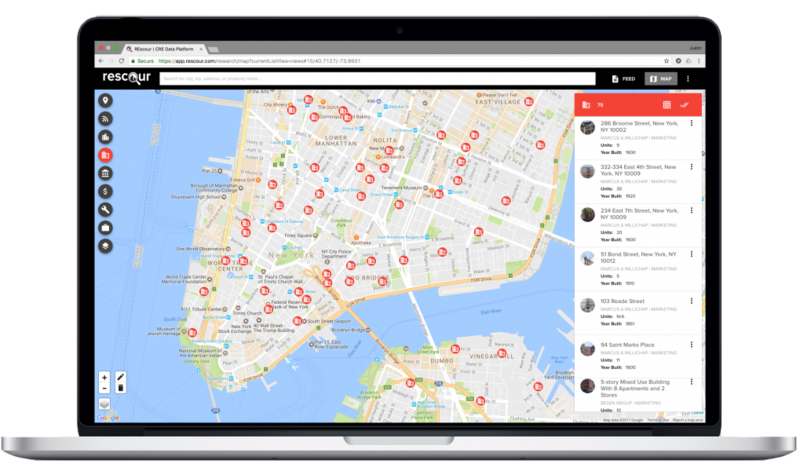 Use quick search to find a specific address or apartment. See a feed filled with news, listings, and sales comps for the properties most important to you. Keep all your information for any property in one place. Not only will you see the data we collect (owner, number of units, taxes, assessments, etc. ), you can also house your own information within our property cards. Allowing for storage of internal comments and files regarding any address, also helps you stay organized. We update our news every hour to provide you with the most recent information. Filter through thousands of listings to get the perfect deals. Receive an in-depth analysis of our extensive database full of investment sales listings pulled from over 80 of the top brokers across the USA. 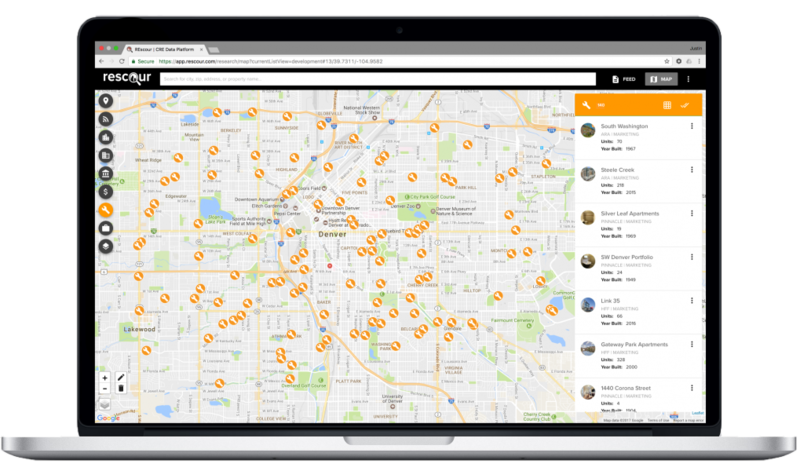 The easiest way to get an accurate historical view of transactions for any property nationwide. We automatically pull transaction data from both internal sources and every county assessors office in the country. 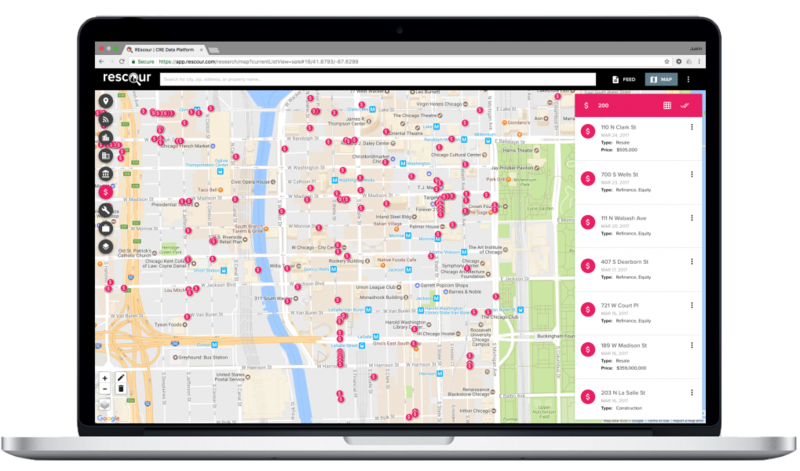 Store, access, and analyze all the leasing information your company collects. 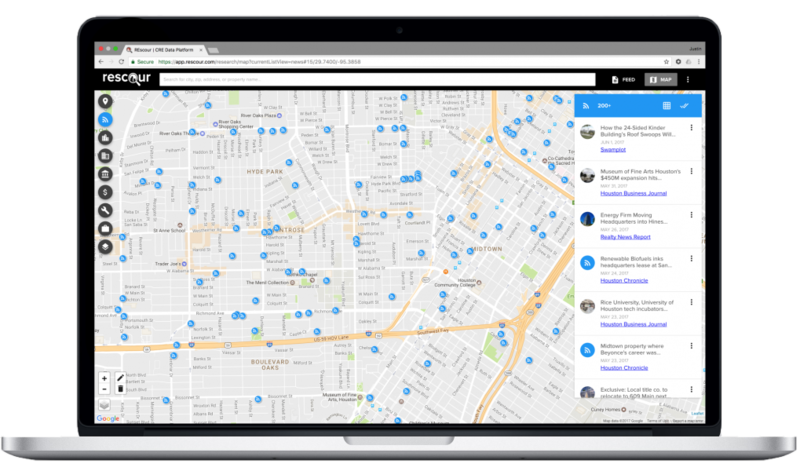 Immediately view all you company’s existing lease data which REscour has aggregated and visualized without interrupting or waiting on your team. 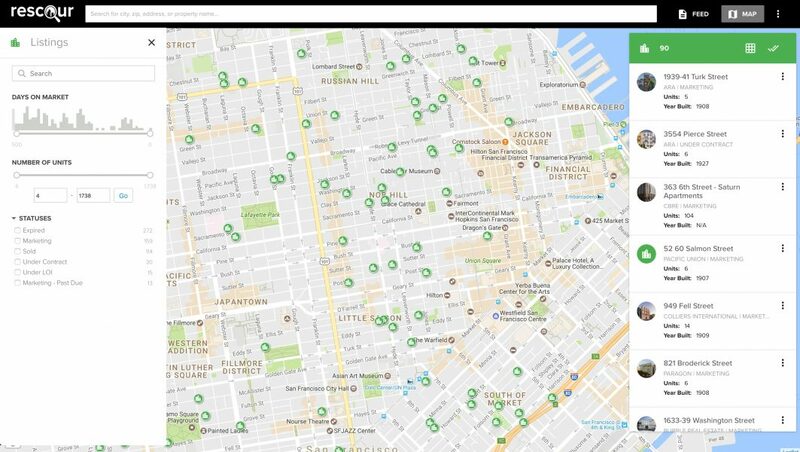 Provide better options to your clients with availabilities through email alerts or visualized on a map view. Tap into and filter through the details of your information such as date available, asking rent, floor, class, and more. Know that you are finding the best space for your clients. Know where the development trends are happening in any market. 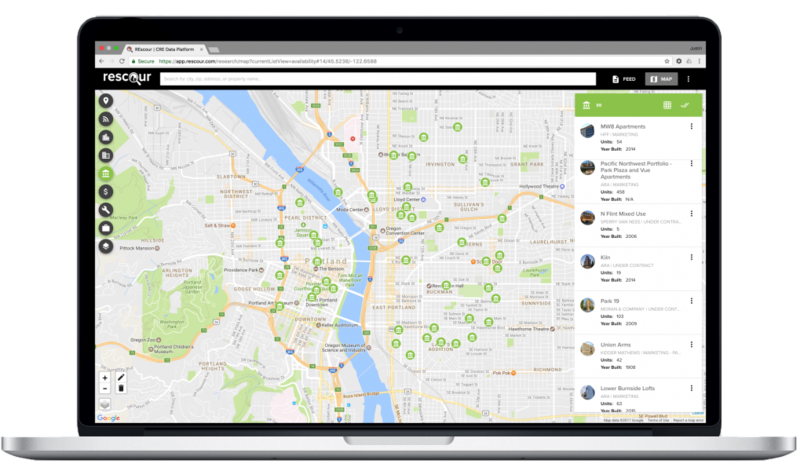 Get an overview on which neighborhoods are getting new buildings, the delivery date, number of units, developer, and category from your company’s proprietary data REscour has collected and organized.